Pictured above: Beachfront resort in Kaanapali on theHawaiian island of Maui. Have you been enjoying our new Friday newsletter, where we feature our Active Adult and 55+ Communities top picks? We&apos;ve been having fun choosing them, and appreciate your suggestions for future issues. Look for it every Friday morning. Here is last week&apos;s issue, in which we highlighted 2 communities our members told us they are moving to. 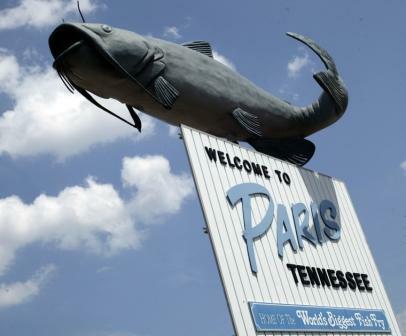 Paris is a small town of about 10,000 in northwest Tennessee, 15 milesfrom the popular Land Between the Lakes recreation area. Paris makes lots of "Best Places to Retire" lists; in fact it&apos;s #4 at Topretirements. This week&apos;s special feature is an interview with Joe West, CEO for the largest free website for community associations, the Community Associations Network. Here&apos;s your chance to learn from the experience of a man who has seen it all. Located on Maui&apos;s west coast is the popular resort town of Kaanapali. Its beauty, weather, and outdoor focus makes it an interesting place to retire. There are many homes and condos to choose from. Though still high, prices in Hawaii are a little more affordable now than they were a few years ago. Our handy book detailing what&apos;s good (and not so great) about the best 100 retirement towns has a new bonus - the full list of the 50 most popular active adultcommunities at Topretirements. The eBook version is just $9.95. There aren&apos;t many towns in America that can boast of a Swiss heritage, but historic New Bern is one of them. 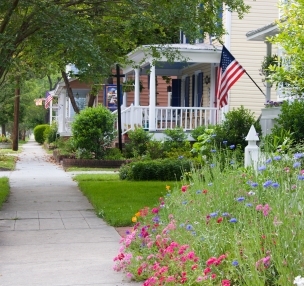 Its 56 square block tree-lined historic district is one reason why retirees are making this such a fast-growing town; the choice of so many active adult communities in the area is another. Some of our best posts ever came in last week. Two of our members visited The Villages and Venice - read all about their trips. The question is, exactly what is an active adult? Find that out and get more resources too. Take our free interactive quiz and find your best place to retire. Answer 11 questions, get an instant report based on your preferences.